A rapid, one step test for the qualitative detection of rotavirus in human feces. For professional in vitro diagnostic use only. 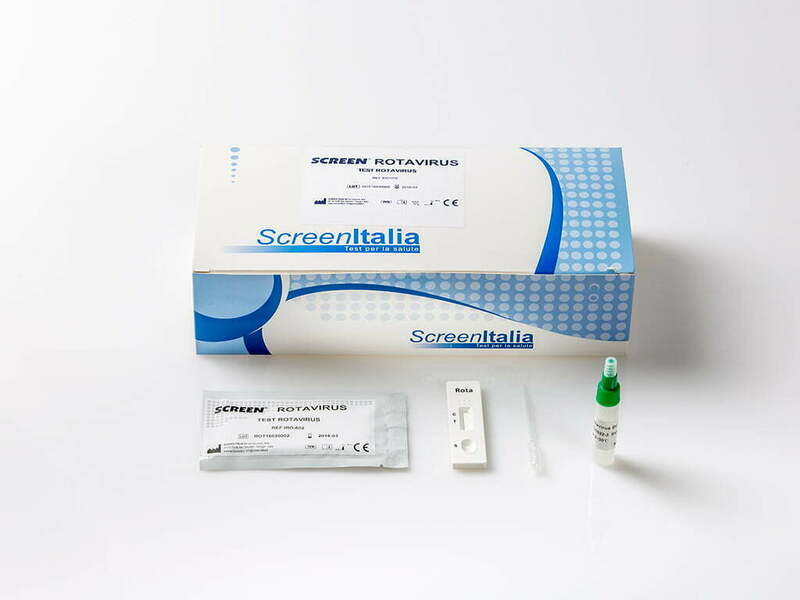 The Rotavirus Rapid Test Cassette (Feces) is a rapid chromatographic immunoassay for the qualitative detection of rotavirus in human feces specimens to aid in the diagnosis of rotavirus infection. Rotavirus is the most common agent responsible for acute gastroenteritis, mainly in young children.1 Its discovery in 1973 and its association with infantile gastro-enteritis represented a very important advancement in the study of gastro-enteritis not caused by acute bacterial infection. Rotavirus is transmitted by oro-faecal route with an incubation period of 1-3 days. Although specimen collections taken within the second and fifth day of the illness are ideal for antigen detection, the rotavirus may still be found while diarrhoea continues. Rotaviral gastroenteritis may result in mortality for populations at risk such as infants, the elderly, and immunocompromised patients.2 In temperate climates, rotavirus infections occur mainly in the winter months. Endemics as well as epidemics affecting some thousand people have been reported.3 With hospitalised children suffering from acute entric disease up to 50% of the analysed specimen were positive for rotavirus.4 The viruses replicate in the cell nucleus and tend to be host species specific producing a characteristic cytopathic effect (CPE). Because rotavirus is extremely difficult to culture, it is unusual to use isolation of the virus in diagnosing an infection. Instead, a variety of techniques have been developed to detect rotavirus in feces. The Rotavirus Rapid Test Cassette (Feces) is a rapid chromatographic immunoassay for the qualitative detection of rotavirus in human feces specimen, providing results in 10 minutes. The test utilizes antibody specific for rotavirus to selectively detect rotavirus from human feces specimens.